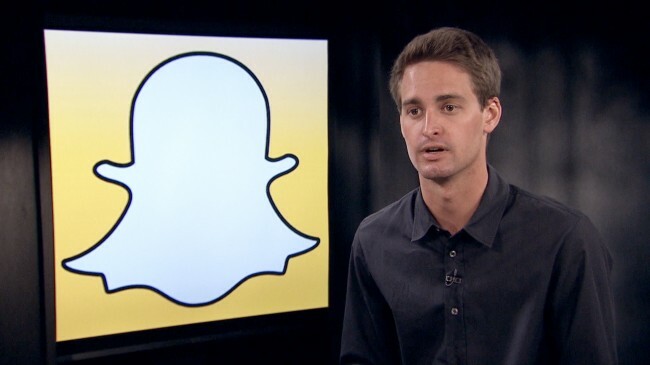 New Delhi, April 16 (IANS) A day after Snapchat CEO Evan Spiegel’s purported disinterest in expanding business to “poor countries” like India created controversy in social media, parent company Snap Inc denied the allegation, saying no such remark was made, reports said on Sunday. US-based news website Variety on Saturday quoted Snapchat’s ex-employee Anthony Pompliano as saying that Spiegel in September 2015 told him that “the app is only for rich people. I don’t want to expand into poor countries like India and Spain”. But the company denied the remarks reports of which had resulted in the rating of the popular app dropping to a “single star” from an apparent “five star” on the App Store. “The simple fact is that he (Pompliano) knows exactly nothing about Snap’s current metrics. He and his lawyers are — not to put too fine a point on matters — just making things up,” Variety reported Snap’s attorneys as saying. Denying the claims of Snapchat being termed as a ‘rich people’s app’, the attorneys termed Pompliano a “disgruntled employee fired for poor performance”. Meanwhile, the rating of the popular app dropped to a “single star” from “five star” on the App Store. According to the app info on App Store, the “Customer Ratings” of the current version of the app was “single star” (based on 6,099 ratings) and all versions’ rating was “one and half star” (based on 9,527 ratings) as on Sunday morning. Some users wrote, “Poor India & Spain need better than Snapchat”, “Good bye, My Snapchat Account and Snap Inc. You’ll be product of gone by era and derision”, and “Poor Evan Spiegel”. “I haven’t seen any Hindus, Muslims, Sikhs, Christians etc Tweets yet. Thanks @Snapchat for Uniting us,” a user tweeted. “I was addicted to @Snapchat but I love my country more than this app. Let’s see how you earn without Indians. @evanspiegel #boycottsnapchat,” another user wrote on twitter. Some users even flagged the app for hateful content and left a message, “Dear @snapchatsupport, flagged you for hateful content. #boycottsnapchat”. According to a report in Forbes on Thursday, Facebook’s photo-sharing app Instagram surpassed Snapchat in daily active users of “Stories” feature, though the format was first launched by Snapchat in 2013. Instagram’s “Stories” feature was now used by more than 200 million people every day — an increase of 50 million since January. On the other hand, Snapchat which launched the “Stories” format in October 2013, had 161 million daily active users in February. “Stories” feature is an ephemeral chain of photo and video clips with filters and special effects. More recently, Facebook and WhatsApp also introduced the feature, imitating Snapchat.